Silhouettes, fabrics and colours harking back to the ’80s — humongous shoulders, cinched waists, short hemlines and oversized ruffles — are making a comeback. The strong, sensual textures of velvet, suede and corduroy come to life in neon hues, graphically vivid prints and glitter. If there’s ever been a time to relive the crazy decade, it’s now! 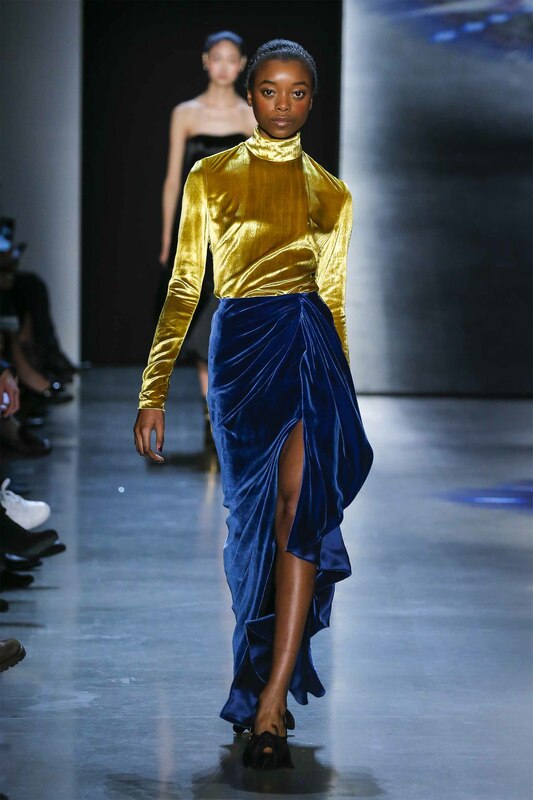 There’s something seductive about how ruched velvet is able to hug every curve on your body, especially in vivid jewel tones. 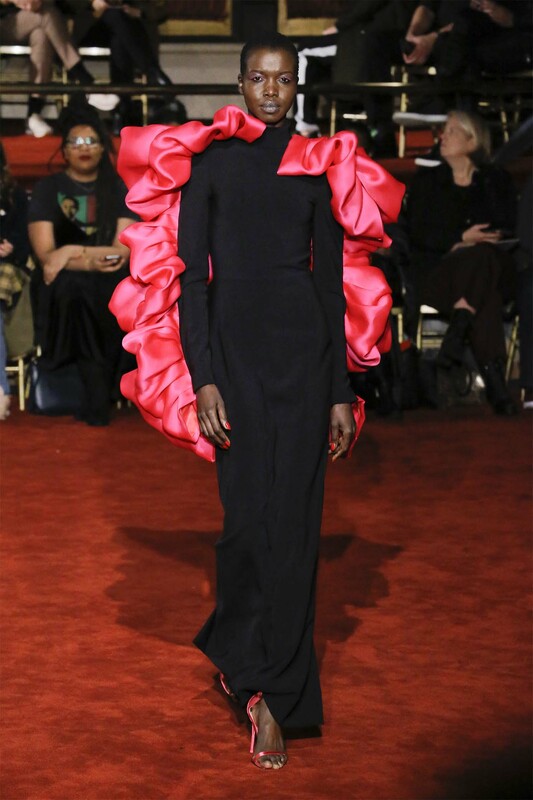 The voluminous ruffle sometimes works best as a single strong statement on your outfit to make you feel like a grande dame. One of the prominent symbols of the ’80s, the power suit embodied the struggles of working women trying to fit in to a man’s world by embodying similar masculine features; exaggerated silhouettes, broad shoulders and imposing proportions. Similarly, it was the time when metallic colours and make-up found empowerment for women. Daring cuts and skin-tight forms could be found all across. If one shade of velvet feels all too much, you can always mix-and-match it with other hues, but what’s being captured here is how the thigh-high slit found public ground all around, especially thanks to TV shows like Dynasty (1981) which epitomised high-society glamour. While there were a melange of textiles, colours and fabrics that gained prominence, what never went out of style were the sequins and beading. 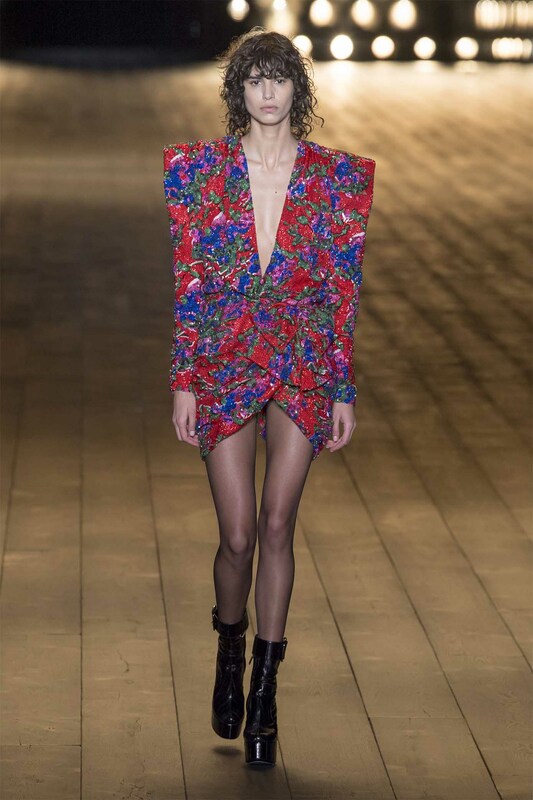 This Saint Laurent number is exemplary of what the glitterati wore when they were heading out to clubs like Studio 54. Another, more feminine way in which broad shoulders were emphasised was with the help of puffed sleeves. 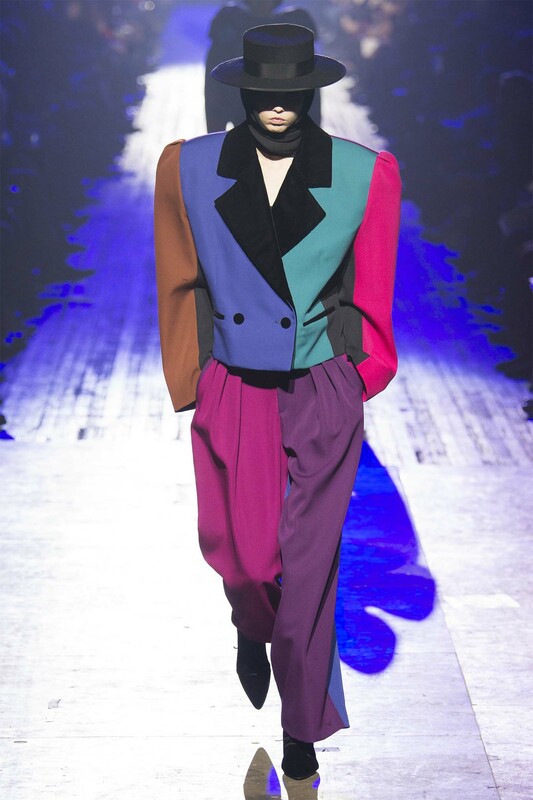 The trend of colour-blocking branched its way out into everything stylish, right from make-up to clothing. 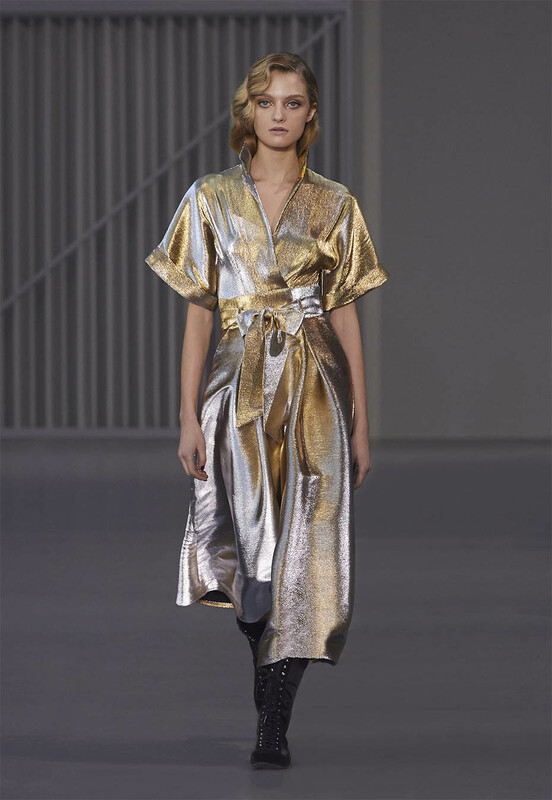 Luminous, lustrous and fluid metallics moulded the body in a heavenly manner. Their decadence was understated but very impactful in letting folks know that one was going for the gold. With Tom Ford’s slick tailoring, even the ridiculous idea of a head-to-toe cheetah print suit in neon green feels equal parts power-play and equal parts drama. And of course, when you just can’t make up your mind on any singular print, just borrow bits and piece from them all. 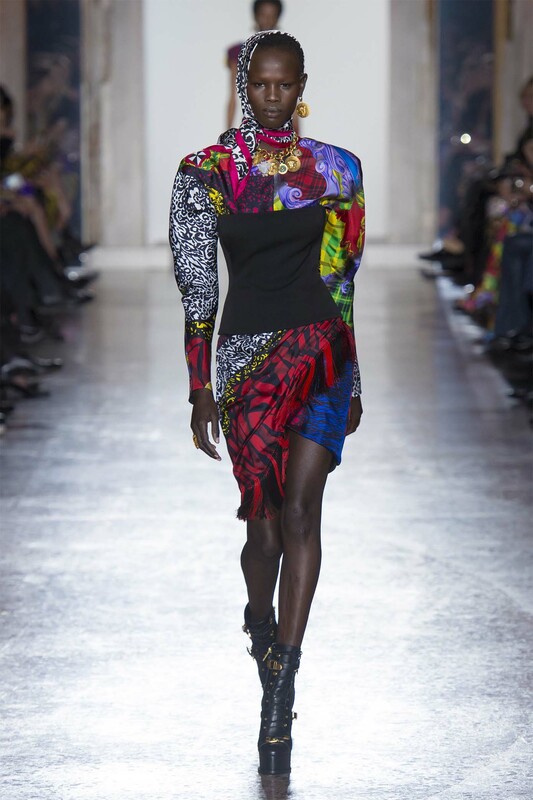 Gianni Versace himself was never quite afraid to go beyond the ordinary.